Criminal prosecution for incidents involving adulterated food is rare, but can and does occur. We were reminded of this recently when the U.S. Food and Drug Administration (FDA) publicized the indictment of three executives of a Chicago-based company that operated cold food storage warehouses. The facts reported in that case weren't complicated: a 2002 inspection of the facility by FDA and the U.S. Department of Agriculture (USDA) uncovered a severe rodent infestation problem. About $44 million worth of meat, poultry, butter, cheese, and nuts was seized around the time. Three executives from the company now face federal criminal indictments on charges they conspired to hide the infestation. The Food, Drug, and Cosmetic Act identifies a list of "prohibited acts" in section 301 and states that any person who commits a prohibited act shall be subject to a criminal fine, imprisonment, or both. Chief among the prohibited acts is introducing "adulterated" or "misbranded" food into interstate commerce. "Adulterated" essentially means that the food contains something it should not contain, such as a dangerous contaminant, "misbranded" means that the label says something it shouldn't. 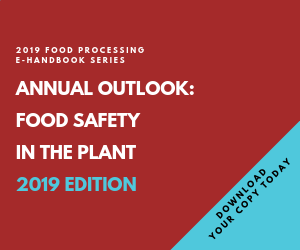 FDA is often able to circumvent the jurisdictional requirement that the allegedly violative food has been introduced into interstate commerce. For example, when ingredients of a food are shipped across state lines and later processed into a finished article of food, federal jurisdiction will generally attach to the finished food. Importantly, criminal prosecution is ordinarily reserved for flagrant, knowing or repeated violations of federal food safety standards. Happily, FDA does not seek a criminal prosecution in every instance of adulterated food. The agency's authority to pursue criminal charges is an important enforcement tool that the agency uses with appropriate discretion. Excessive criminal prosecution would create an adversarial relationship between FDA and the food industry, while lax enforcement would create an atmosphere of excessive tolerance. As illustrated by the recent warehouse case, courts have construed section 301 to include virtually any act that results in a violative food product, whether it is an affirmative act or a passive act. Specifically, the mere act of holding food in a warehouse under unsanitary conditions so that it becomes adulterated is a prohibited act. In very limited circumstances, the existence of a "food and drug guarantee" can serve as a defense to criminal prosecution. For example, if a food company receives a guarantee from a supplier indicating that a food or food ingredient is not adulterated or misbranded and FDA later prosecutes the company, the guarantee may be helpful, though only in a limited way. First, the guarantee is a defense only to a rare criminal prosecution, and it does not protect against FDA's seizure of the product. Moreover, the guarantee will serve as a defense only when the defendant is a "mere conduit" in the stream of commerce, i.e., he or she merely received the goods from the supplier and re-sold them. The defense is not necessarily available if the party who received the guarantee processes or even repacks the food. Perhaps the most notable feature of criminal prosecution under the Food, Drug, and Cosmetic Act is that the Act imposes a standard of strict criminal liability, meaning it isn't necessary for the government to prove that a defendant intended to violate the law, that he or she knew the law was being violated, or that he or she even knew the goods in question were being shipped. The leading case on this aspect of the law is United States vs. Dotterweich, which was decided by the Supreme Court in 1943. In that case, a pharmaceutical company and its president were charged with shipping adulterated drugs in interstate commerce. The company was a re-packer of drugs. There was no evidence of any personal guilt or criminal intent on the part of the company president. Nonetheless, the Supreme Court upheld his conviction. The Court stated: "Hardship there doubtless may be under a statute which thus penalizes the transaction though consciousness of wrongdoing be totally wanting. Balancing relative hardships, Congress has preferred to place it upon those who have at least the opportunity of informing themselves of the existence of conditions imposed for the protection of consumers before sharing in illicit commerce, rather than to throw the hazard on the innocent public who are wholly helpless." Try arguing against strict criminal liability today and those words undoubtedly will be invoked. Dotterweich was a 5-4 decision, and though it has often been criticized, it has also been consistently applied and followed. Occasionally, however, a court or jury will refuse to convict an individual where there is a lack of proof that the individual was in a position to prevent or correct the alleged violations. For example, in a 1985 case, United States vs. Gel Spice Co., the court convicted a company president of violating section 301 of the Act (specifically, storing food under unsanitary conditions). A vice president of the company, however, was acquitted of the same charges because he was deemed responsible for sales and not for sanitation. It is clear from the foregoing that FDA could undertake hundreds of criminal prosecutions per year if it were of a mind to do so. Prudently, the agency generally avoids bringing criminal charges unless it has evidence that the defendant has some degree of fault in the traditional sense. One thing is certain in today's post-Enron climate of corporate accountability: If there is a highly publicized food contamination incident, particularly one involving serious injury, federal authorities can be expected to entertain a criminal prosecution. The best way to insulate against this possibility, however remote, is to avoid the food contamination incident or, at a minimum, have all reasonable safeguards in place so that prosecutors cannot demonstrate a climate of corporate irresponsibility.